S'il vous plaît demander un devis avant de soumettre une réservation. S'il vous plaît comprendre que le taux standard sur homeaway est pour un condo vue sur l'océan de côté. Le taux sera plus élevé si je vous donne un condo en front de mer ou inférieur pour un condo avec vue sur la ville. Embrassez vrai luxe à Ocean Beach Club Resort - Gold Key Resort, un hôtel en bord de mer élégant qui domine l'extrémité nord de la promenade de Virginia Beach. Orné d'apaisement des touches de design des Caraïbes et une aura détendu, Ocean Beach Club se distingue parmi les autres stations de Virginia Beach en offrant des extras élégantes que vous attendez dans un hôtel quatre étoiles. Maisons de l'océan Atlantique constitue la pièce maîtresse de l'expérience Ocean Beach Club. suites spacieuses ouvrent à lever sur l'océan ou de la ville coucher du soleil vue imprenable, quatre piscines sont assis à quelques pas de la plage de sable, et le centre de remise en forme de l'état-of-the-art du 17e étage donne sur l'océan. Dîner près de la piscine pour le petit déjeuner, le déjeuner ou le dîner au Café Tortugas et Tiki Bar, détendez-vous dans votre suite, ou marcher sur Club Magasins Ocean Beach pour top commercial de la promenade. Planifier l'évasion de la plage de vos rêves à Ocean Beach Club, l'hôtel de luxe de premier bord de mer à Virginia Beach. 1) Oceanfront, ou Oceanview, ou City View 2-Bedroom condo Suite (la vue sera clairement répertorié dans la citation de taux). Toutes les unités ont le même intérieur, même configuration, même pli sur canapé-lit dans le salon. La seule différence est la vue. Parking (gratuit) pour une voiture est inclus et il est situé à environ un demi-pâté de maisons. Service de voiturier peut être utilisé pour une charge nominale. Wifi est inclus (gratuit). The unit was very nice and well equipped. We nearly had to cancel 2 weeks before arrival due to an event we were to attend being canceled. Although not offered a full refund, Dr Vic was very gracious in working with us to attempt to re-rent the unit when he really did not have to. As it turned out, we were able to come and enjoy our stay. My family was having a wedding at Rudee's Inlet at the far end of Virginia Beach. We contacted Dr. Vic at short notice after being cancelled by another owner 2 weeks before the wedding. He was able to get us into his property with ease and add another one of his properties even more last minute. The 2 BR condos we rented were perfect for the wedding party and family. We were less than 5 miles from the wedding venue and in the middle of everything on the beach that we needed. The property was clean, modern and provided all the amenities including the pool that the kids enjoyed after the wedding when we were able to relax. I would recommend this property to anyone that needs room for family and friends. The two bedroom have separate living spaces with is great for couples or older kids. I stayed here with my sister and 2 nephews for 5 days of beach r&r. The location was great, with plenty of sit-down and quick service restaurants within walking distance, and the beach and Boardwalk right outside. The property had 4 swimming pools, and provided beach towels. My nephews thought it was totally cool that they could get milkshakes from the poolside bar and drink them while floating in the water. The apartment was nicely appointed, and pretty spacious. The kitchen was small, but had nice appliances and was outfitted well enough to turn out lunches and simple dinners. The bathrooms were beautiful, one with a jetted tub. Every room had a large, flat screen tv. My 15 year old nephew was disappointed with the Internet availability. We did not have a strong or fast enough signal for him to game online. Personally, I thought this was a good thing :). Dr. Vic (the owner) was very attentive. He answered emails within hours, and picked up the phone immediately when we had an issue at check-in, which he stepped in to resolve. He called us on day 2 of our stay to ensure that everything was satisfactory. We really enjoyed our stay, and my nephews are already talking about next year. Had a great time at Ocean Beach Club! I had a last minute request and Dr. Vic was very responsive and quickly found something for us. One night he had us stay at the Sheraton right next door because Ocean Beach Club was not available yet until the following day. The process was seamless. 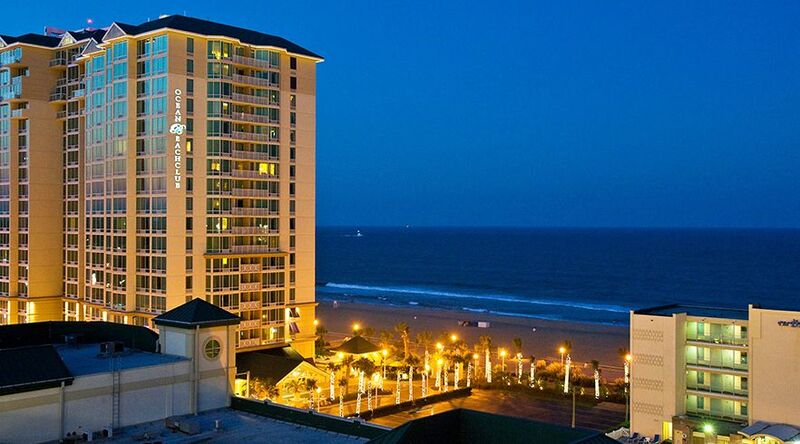 I have stayed several times at Ocean Beach Club so it was just what I expected - one of the best places to stay in VB. We really enjoyed our stay in the oceanfront penthouse. The views were amazing, activities/restaurants/music were close, and we had plenty of room for our adult and younger children. The kitchen was small, but fully functional. We will definitely rent from Dr. Vic again as he made the entire process seamless. We had a great time and the location was wonderful. Dr.Vic was very accommodating. I was a little concerned with the way payment was done but have no worries renting this property was easy and convenient. I would definitely rent from him again. Please understand that standard rate is for a city view condo. The rate will be higher if I give you a side Ocean view or an oceanfront condo. The rate as well as View that I have during your week will be clearly quoted to you. So, do not go by the quote that you see through homeaway. Payments are Handled through paypal (credit card) and you can also pay by check.